The Ayrshire Fiddle Orchestra are fantastic young ambassadors for this area. 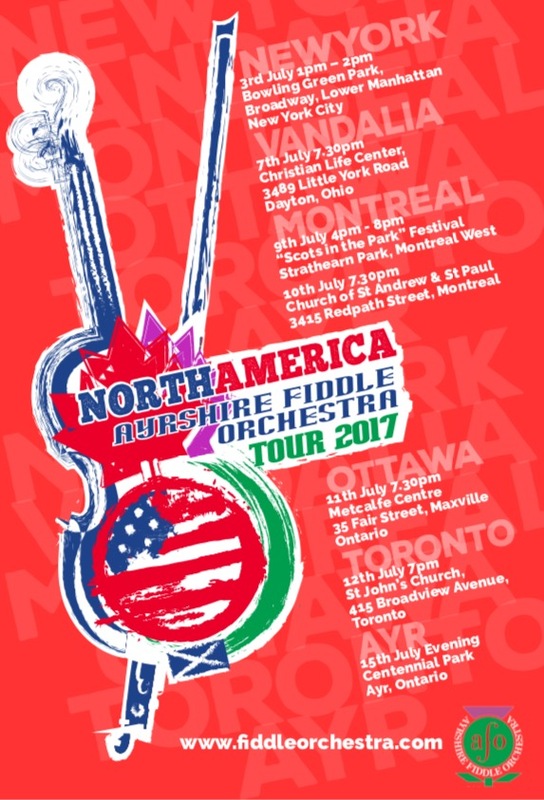 Featuring some of the top traditional musical talent in Scotland, in July they will travel to the USA and Canada for a two-week whirlwind concert tour. To help fund their trip, they will hold their Summer Ceilidh here in Troon Old Parish Church Halls on Saturday 10th June, from 7:30 pm till midnight. Glenpark Ceilidh Band will provide the music and there will be an American-themed barbecue, BYOB. Tickets priced £12 (adults), £8 (children under 15) and £35 (2 adults + 2 children under 15) are available from our choirmaster, David Moore. You can contact David on 07723 405354.